Nothing beats learning from the expert. When it comes to classical ballet, no one could ever surpass the achievements of Lisa Macuja- Elizalde. Lisa started taking lessons in ballet at age 8. She would later become a scholar at the Vaganova Choreographic Institute also known as the Academy of Russian Ballet at Saint Petersburg, Russia. She is the first foreigner to join Russia's Kirov Ballet. Lisa was the first artist-in-residence of the Cultural Center of the Philippines and in1995 she established her very own company, Ballet Manila. The company recently celebrated its 20th anniversary. In 2014, Lisa celebrated 30 graceful years of stunning ballet performances. She has happily retired from performing and is now focused on mentoring future ballerinas as Directress of the School of Ballet Manila. Lisa's school is the only Philippine ballet school directly associated with the Vaganova Academy of Russian Ballet in St. Petersburg, Russia. "What makes us different from other companies is our commitment to the highest standards of classical ballet based on our Russian Vaganova roots," Lisa explains. One of the main training techniques of classical ballet, the distinct characteristic of this style is the ballerina's flexible shoulder motion as each step is executed. Other dancers simply move with "square" shoulders. "The Vaganova method involves the entire body. Arms, legs and torso move in perfect harmony. Dancers trained by this method jump higher and do powerful turns. The technique require dancers to remain in the air for a long time, as if they are floating," she said. If your children are showing interest in dance, why not send them to ballet classes during the summer vacation? Ballet Manila offers several novel and fun programs for young and talented dancers. Apart from the basics of the dance art, the classes follow a holistic approach by including fun activities for a more engaging summer endeavor. For example, apart from ballet techniques taught in the baby ballet class, the students learn to play musical instruments and create props using fabrics. The intensive dance exercises in the intermediate class is combined with street dance, yoga and pilates. There will also be lectures on injury prevention, film screening about ballet and inter-active workshops with theater artists. The Maria Ballerina Class is for students from 3-5 years old. They will learn proper ballet techniques, develop motor skills, coordination, rhythm and musicality. The students will also work with fabrics, props and musical instruments for a more enhanced learning experience. fairy tale dances and stories, students learn to appreciate self-control, joy in movement, body awareness, rhythm, musicality along with the structure of classical ballet. It also includes classes in Tap Dance, Tumbling and Gymnastics for musicality and rhythm development. or limited ballet experience or training. The springboard course for classical ballet, aside from basic movements, concepts of rhythm, space, direction and music patterns are reinforced. The Intermediate level is for students ages 12-14 open to boys and girls with previous ballet training. The classes include advanced barre work, intensive exercises and combinations, partnering and classical variations. The students will also learn street dance, yoga, pilates plus enrichment workshops to boost their dance appreciation. The Advance Level is for ages 14 years old and above with several years of ballet training. Also known as the pre-professional level, aside from the more complicated exercises and dance combinations it covers repertoire and variation learning which encourage students to become more expressive. The program includes additional classes in modern and contemporary dances like street dance, yoga and pilates, secondary classes in ballet technique and partnering and enrichment workshops. One is never too old to pursue a passion. 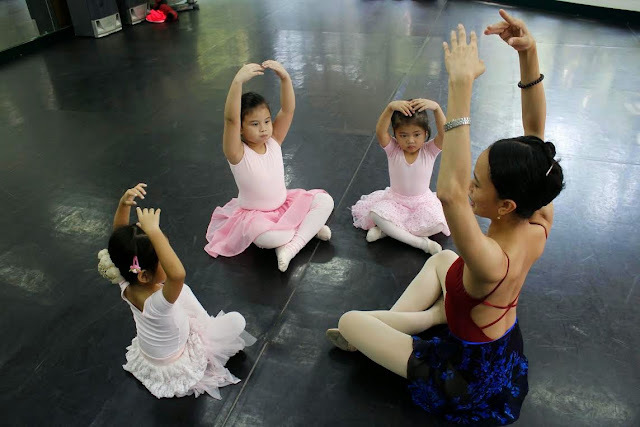 Ballet Manila also offers classes for the young at heart. The adult ballet classes accept students who are willing to learn, including those minimal or zero dance background. 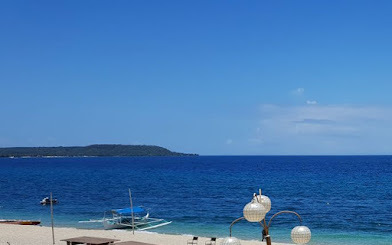 The summer workshop will run from April 6 - May 31; with enrollment ongoing until April 19. All participants will be part of the summer recital on May 31 at the Aliw Theater, where students will have a chance to perform alongside senior Ballet Manila dancers. Ballet Manila is located at 1915 Donada Street, Pasay City and has a satellite school in Crossfit Halcyon in Fisher Mall. Interested parties may enroll at Ticketworld outlets or via www.ticketworld.com.ph. All BPI credit card holders are entitled to an exclusive 20-25% discount off tuition fees. For inquiries, email info@balletmanila.com.ph or call (+632) 400 0292 and (+632) 525 5967. 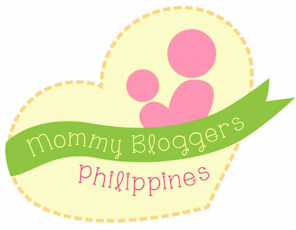 This is fun and cute for little girl to enroll this summer.Because this is under the management of Prima Ballerina Lisa Macuja- Elizalde, I am sure it is World-class! Yep, they asked me if I wanted to try ballet for adults, as they were giving free trial class for bloggers. I declined, I think I will accept this invitation when my daughter turns 3. At that time, I am willing to try ballet with my little girl as our bonding moment.